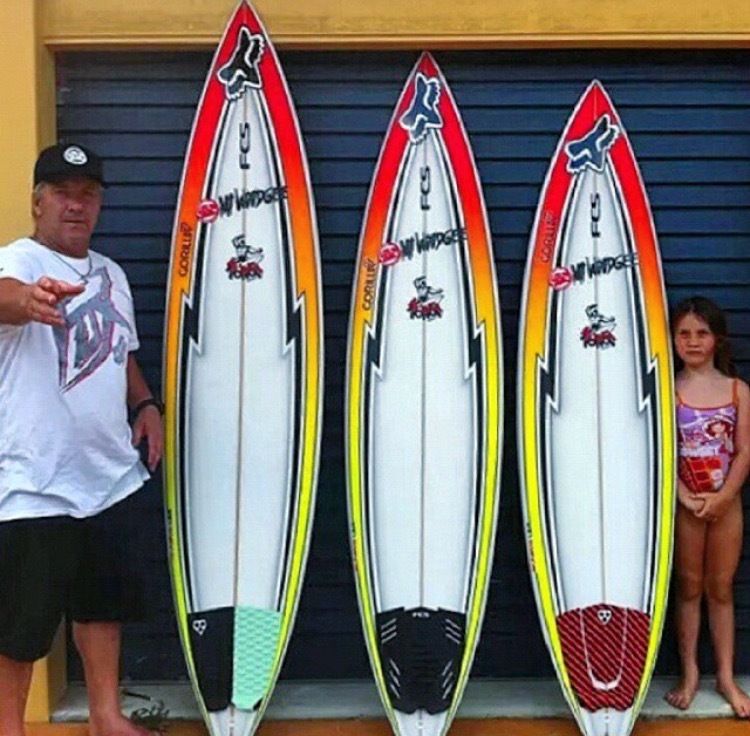 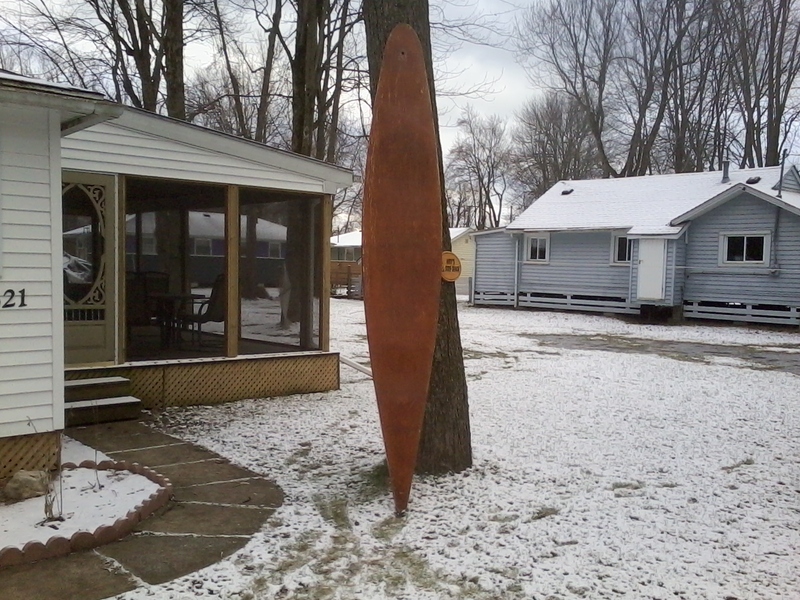 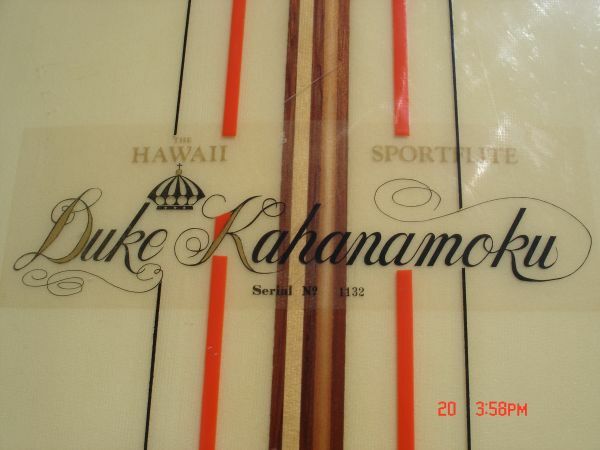 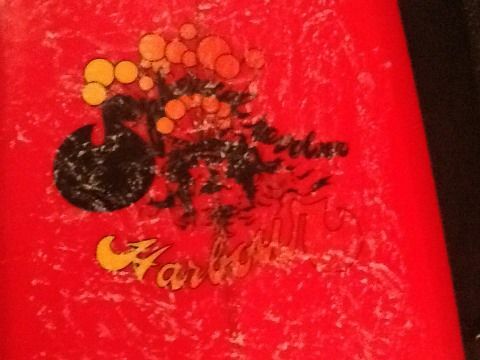 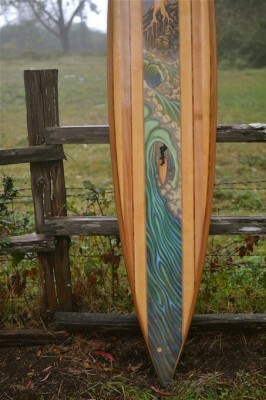 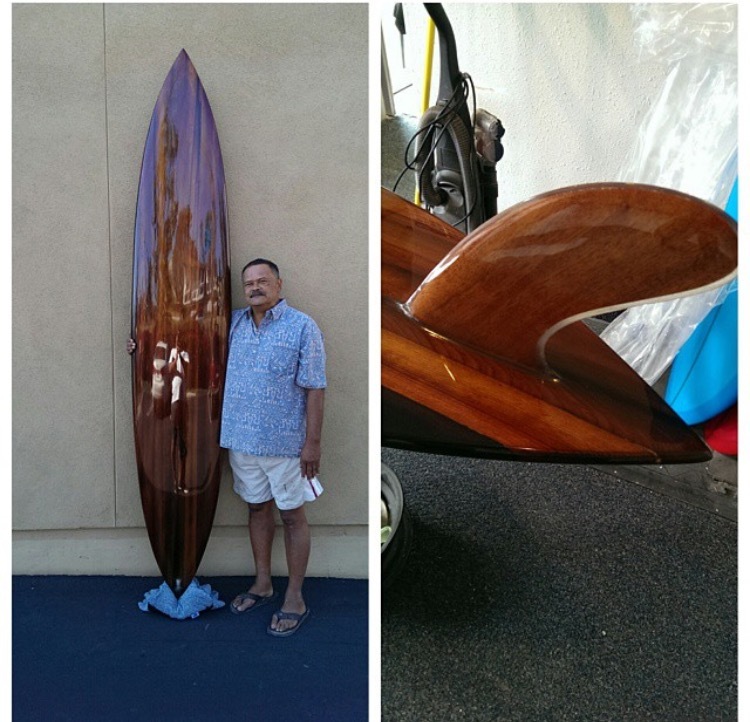 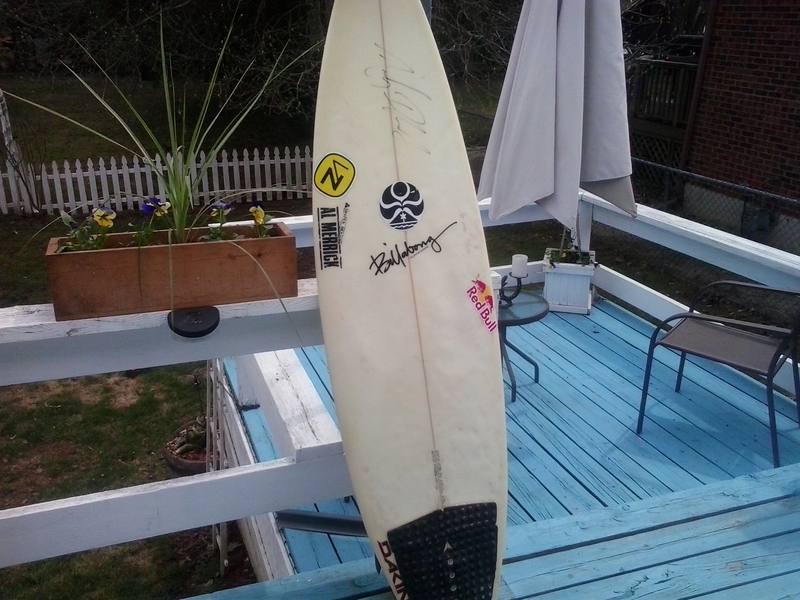 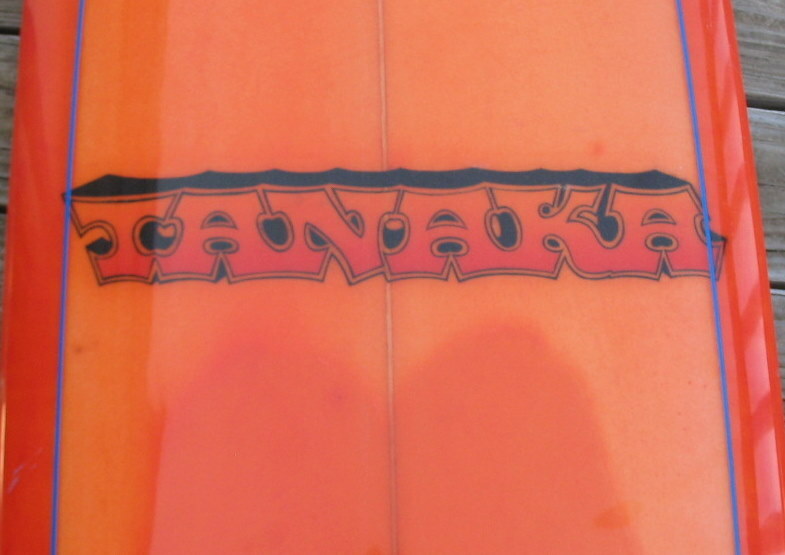 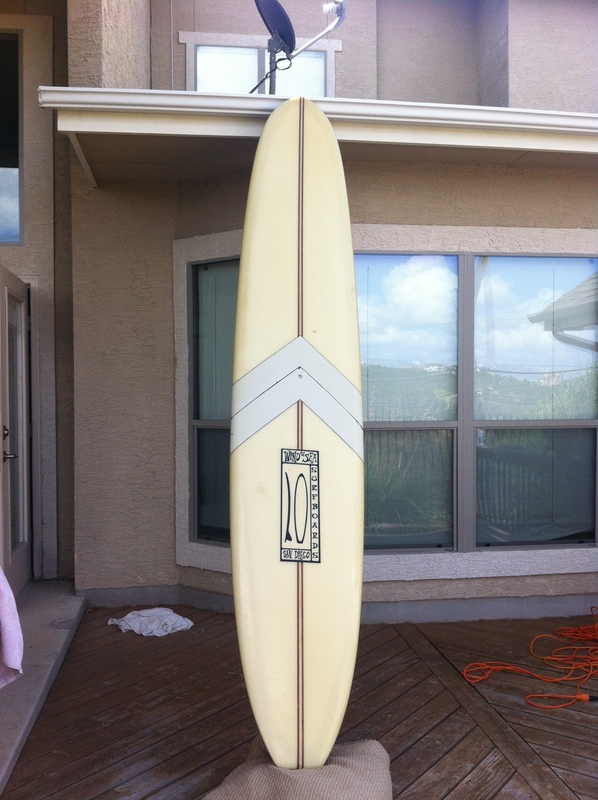 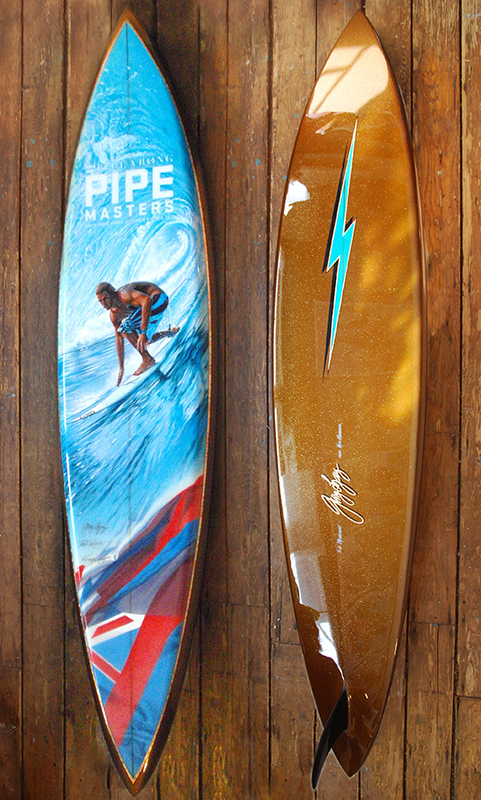 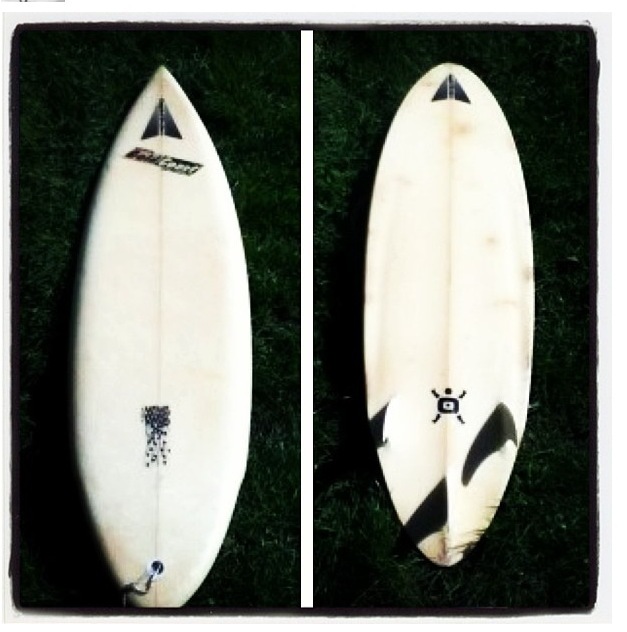 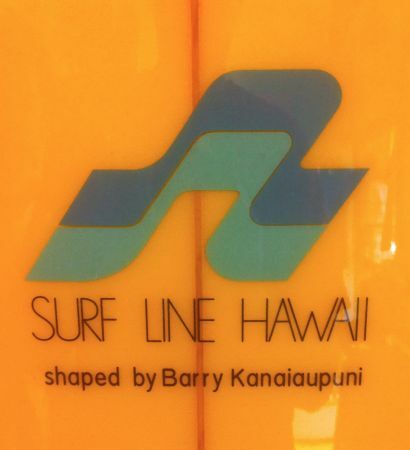 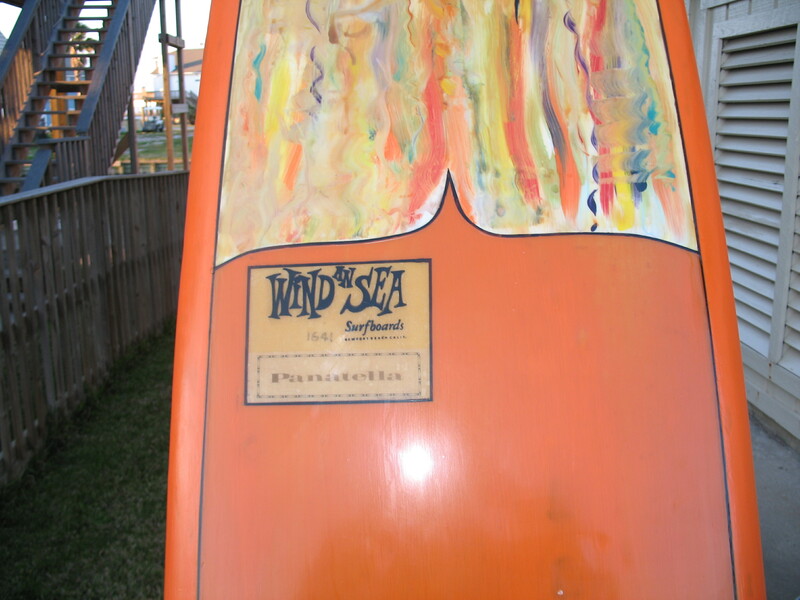 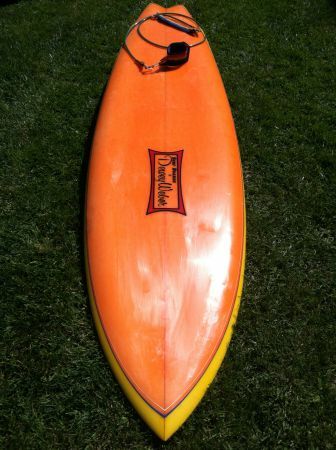 This board is from the collection of board collector John Mazza who has amassed an incredible collection of boards. 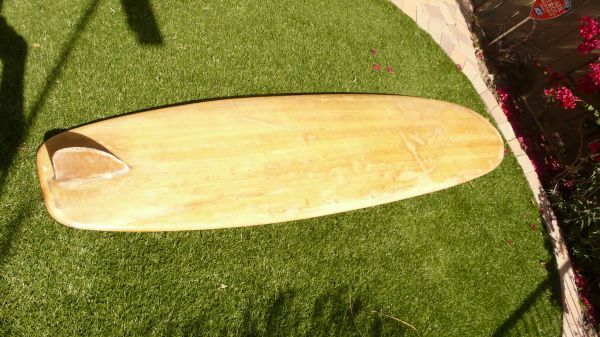 When it was purchased it was thought to be an original George Greenough Velo but was later found to be an early reproduction, possibly by friends of Greenough. 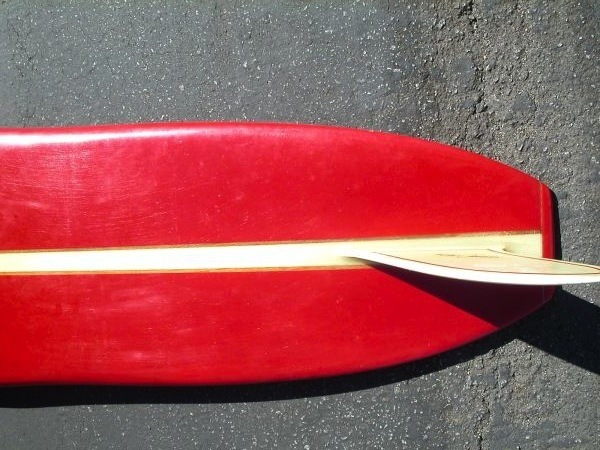 The importance of the George Greenough Velo to the short board revolution cannot be overlooked. 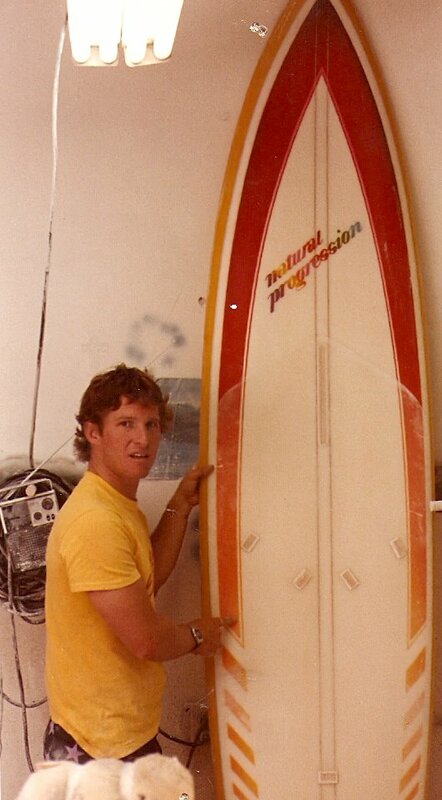 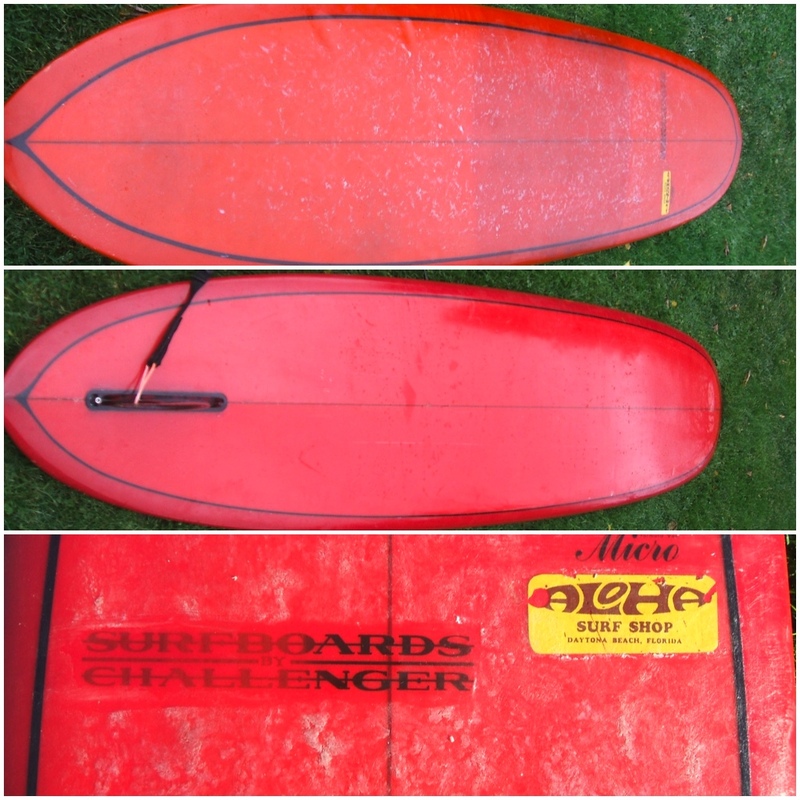 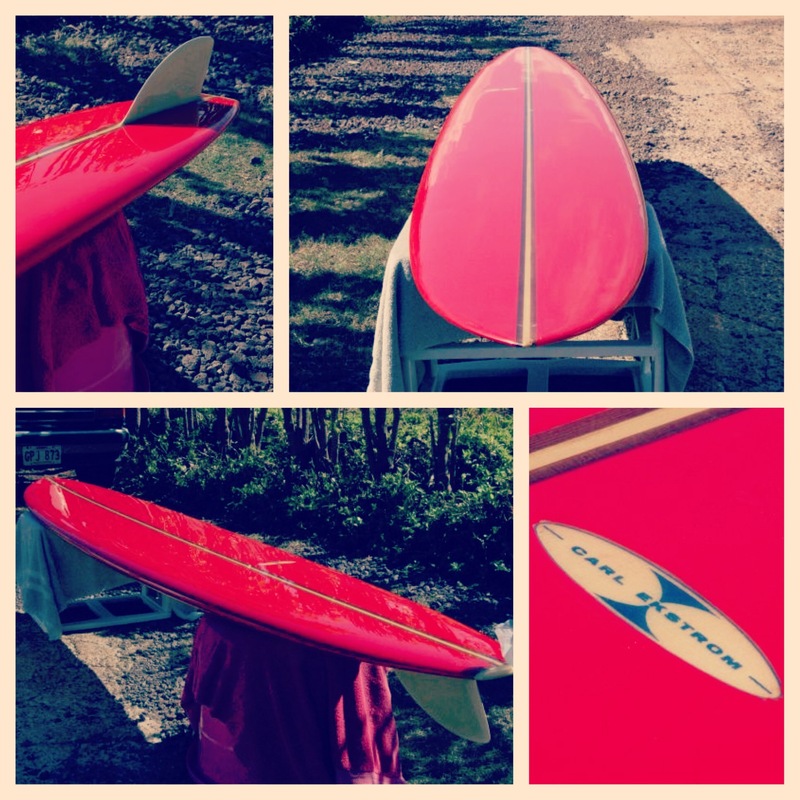 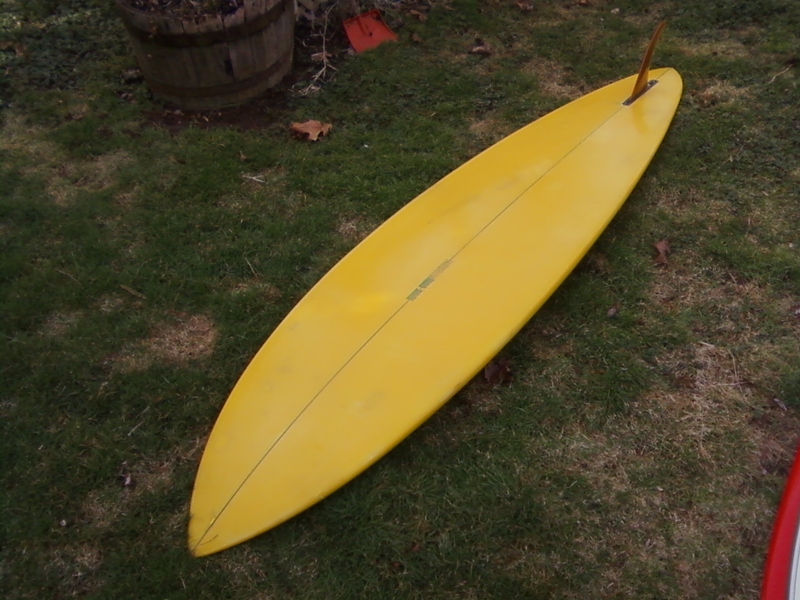 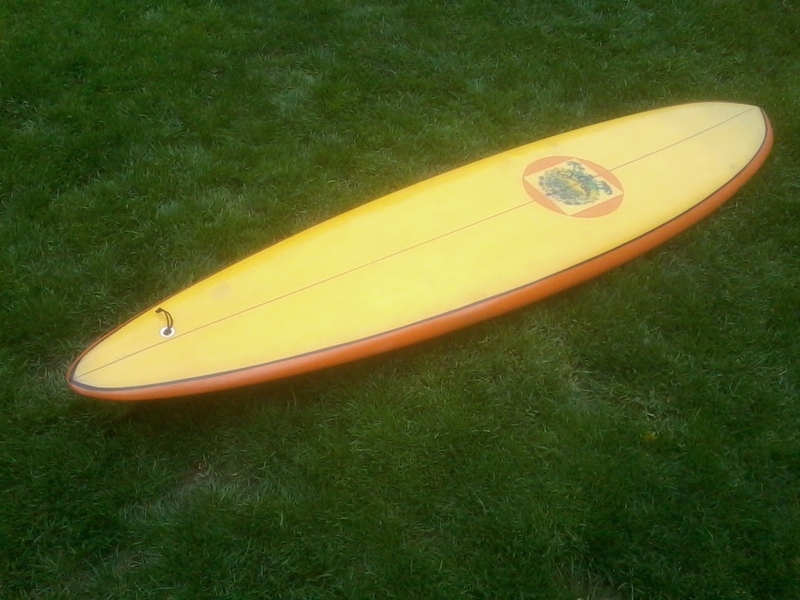 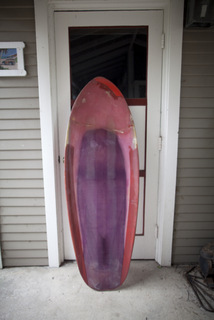 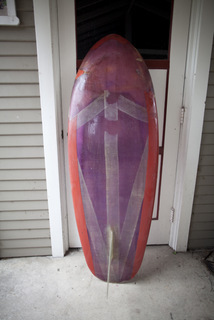 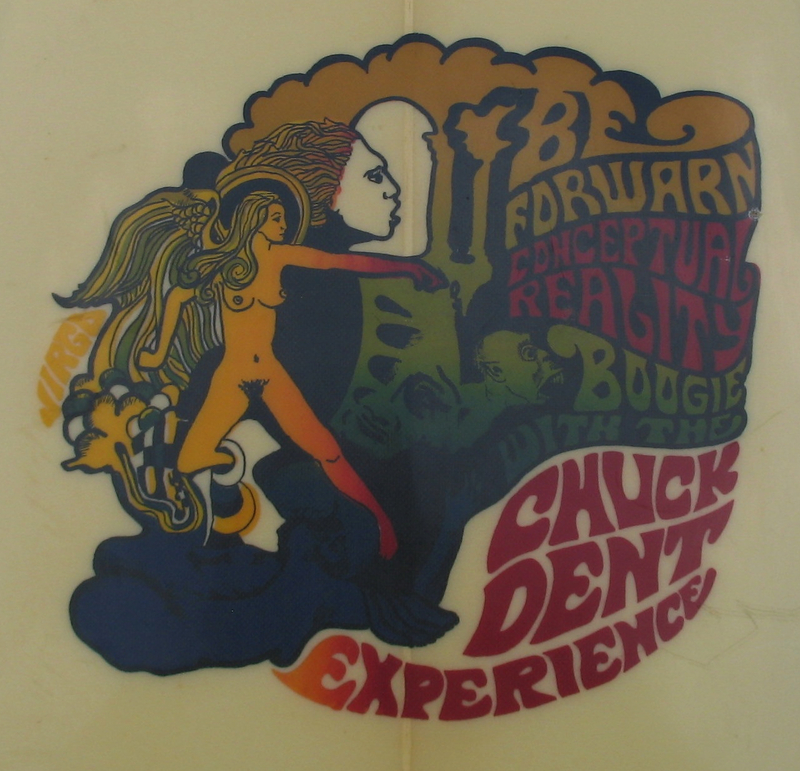 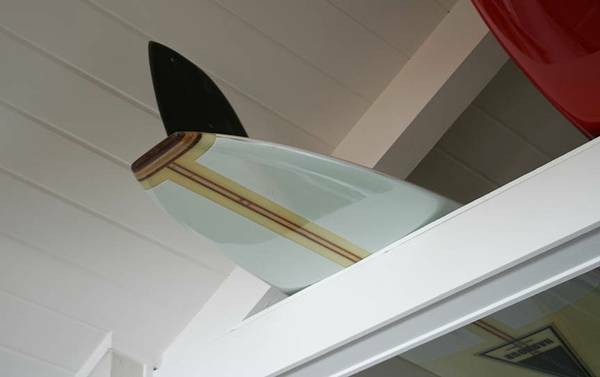 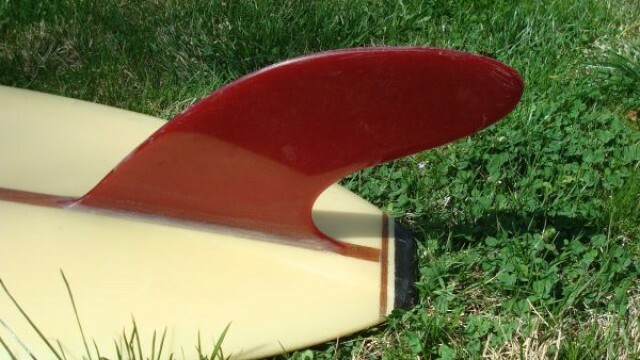 The Velo was developed by Greenough in 1965 and helped inspire the vee-bottom experimentations by Bob Mctavish and Nat Young’s 1966 World Championship board, which later helped spark the short board revolution.